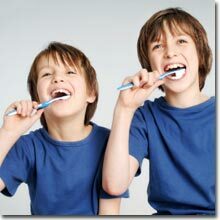 New patients are very welcome, whether you are simply changing dentist or have not been to the dentist for a long time. Don’t worry if your teeth are in a poor shape because you haven’t had any treatment for ages - nobody will tell you off or “lecture you” at our practice. We will be sympathetic, gentle and non-judgemental. We have many years of experience in treating nervous patients and have been able to overcome their fears to a point where they will happily come and see us regularly. At your first visit, we will take time to discuss and explain things with you. All options for treatment will be covered and a printed, costed treatment plan will be given. If you are a patient who has not visited us for a while, then simply contact us to arrange an appointment so we can continue to care for your dental needs. Please remember: there is no charge for under 18s to have a check up or any routine treatment. We enjoy providing top quality routine dental care from simple cleanings to fillings, dentures and advanced cosmetic work for our patients all over the Chorley and Leyland area. We offer a viable cost effective alternative to NHS treatment with the freedom to offer patients what they want. We like to focus on preventative care as early as possible. Check ups and dental care for under 18 are free of charge (except advanced cosmetic work). Access to the practice is made easy with onsite parking, a ground floor waiting room, wash room facilities and surgery for disabled access. We know that appointment times can often be difficult to arrange, so we have early morning and evening appointments for your convenience.